Liverpool welcome FC Porto at Anfield on Tuesday night, aiming to take control of their Champions League quarter-final tie. A comfortable win for the Reds? This post contains our Liverpool vs FC Porto betting preview with betting tips, predictions, starting lineups, team news, enhanced odds, bookie offers and no deposit free bets on the Champions League! We are giving away 5 Champions League ball this month! Join our Shoot & Score competition here! Get 30/1 Liverpool to beat FC Porto at BetVictor. Max bet £1! New Customers only. Place a maximum £1 bet on Liverpool to win Match Betting - 90 mins. If it wins, get the enhanced odds paid out as free bets; 7 day expiry. Cashed out bets excluded. 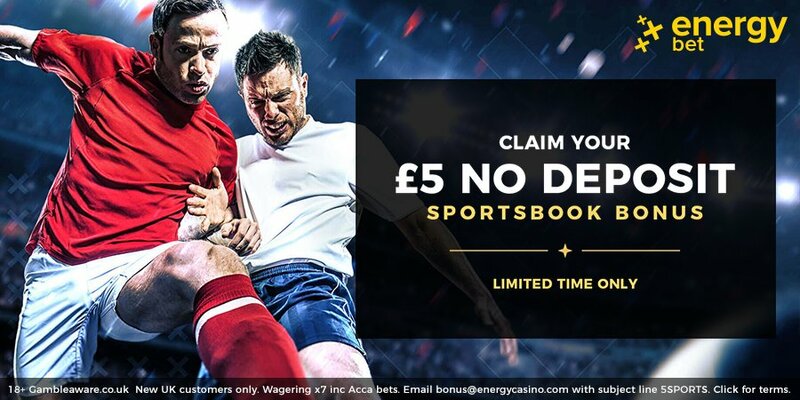 Offer valid from 18:00BST on Sunday 7th April 2019 until 20:00BST on Tuesday 9th April 2019. Credit or Debit card only, minimum £5 deposit. Geographical Restrictions. T&Cs Apply. Liverpool head into this game unbeaten in 14 matches in all competitions, after they beat Southampton late on and moved two points clear at the top of the Premier League table last weekend (but Man City have one game in hand). The Reds have won 13 of 15 unbeaten fixtures at Anfield since late October, including victories over the likes of Napoli, Man Utd, Arsenal and Spurs. As to the Champions League, they lost all three away games but put that issue to bed with a highly-impressive 3-1 victory at Bayern Munich in the last round. The Reds ran out comfortable 5-0 aggregate winners over this same opposition in last season’s Champions League knockout stage. Jordan Henderson and James Milner will almost certainly return to the starting XI after being initially rested last Friday. The former will replace either Fabinho or Naby Keita in midfield, the latter will start as left-back since Andrew Robertson is suspended. Joel Matip and Dejan Lovren are in contention to partner Virgil Van Dijk as centre back while Trent Alexander-Arnold will play as right back. No changes are expected up front, where Roberto Firmino, Sadio Manè and Mo Salah looks sure to start. Adam Lallana is struggling with a muscular injury. Porto beat Boavista 2-0 on Friday night to put them level on points with Primeira Liga leaders Benfica. The Dragoes have been excellent in the Champions League this season as they beat Roma 4-3 after extra time in their last 16 tie, after topping and finishing unbeaten their group that featured Schalke, Galatasaray and Lokomotiv Moscow. As to direct encounters, Porto have scored only one goal in their three visits to Anfield. They have also never won in 18 previous trips to England, losing 15 times. Sergio Conceicao may drop Yacine Brahimi again in order to be more defensively sound on the flanks. As a result, Moussa Marega and Tiquinho Soares should lead the line while Jesus Corona and Otavia should feature from the off as wingers. The likes of Danilo Pereira and Oliver Torres are likely to anchor the midfield, since Hector Herrera is suspended. At the back, Pepe's suspension should see Diego Leite featuring from the off or Eder Militao moving into the heart of the defence. A hip injury ruled Alex Telles out at the weekend but the former Galatasaray left back should recover in time to play. Don't settle for the first prices you see. Taking the best odds available online is very important! The following are the highest odds on the Liverpool vs FC Porto match winner market. We only bring you prices only from tried and trusted bookmakers, so you receive not only the very highest odds, but also the ultimate experience too. The Champions League is arguably one of the most unpredictable football competitions, expecially when two European giants collide. Our football tipsters share the most accurate predictions on Liverpool vs FC Porto this Tuesday, giving you the best chance of bashing the bookies. Back our predictions as singles or use a Bet365 Bet Builder tool (such as Betfair's Same Game Multi or BetVictor's PriceItUp Builder) to include them in a unique bet. Never miss our Champions League expert pick! Follow BetAndSkill on Twitter or read our football predictions! We have also collected all the best betting promotions, including no deposit free bet and exclusive promo codes. If you’re just getting started betting on football, you might be confused by the multitudes of wagering options available. This is the reason why we are providing you with a brand new betting guide section! "Liverpool vs Porto Predictions, Betting Tips, Lineups & Odds (Champions League - 9.4.2019)"